Classroom Freebies Too: Staff Meeting Binder Cover Freebie! Staff Meeting Binder Cover Freebie! A cute way to keep your items for staff meetings organized! 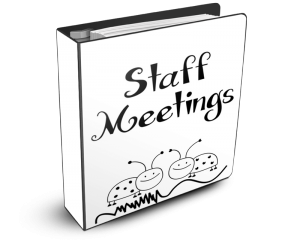 Want a FREE Staff Meetings Binder Cover?